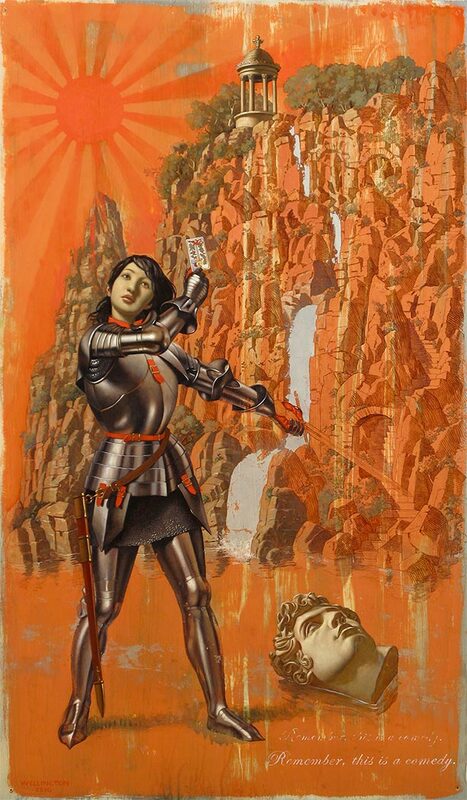 John Wellington, You and Me, 2009, oil and copper leaf on aluminum, 68″ x 48″. THIS IS A COMEDY, 2010, oil and aluminum leaf on aluminum, 48″ x 28.25″. 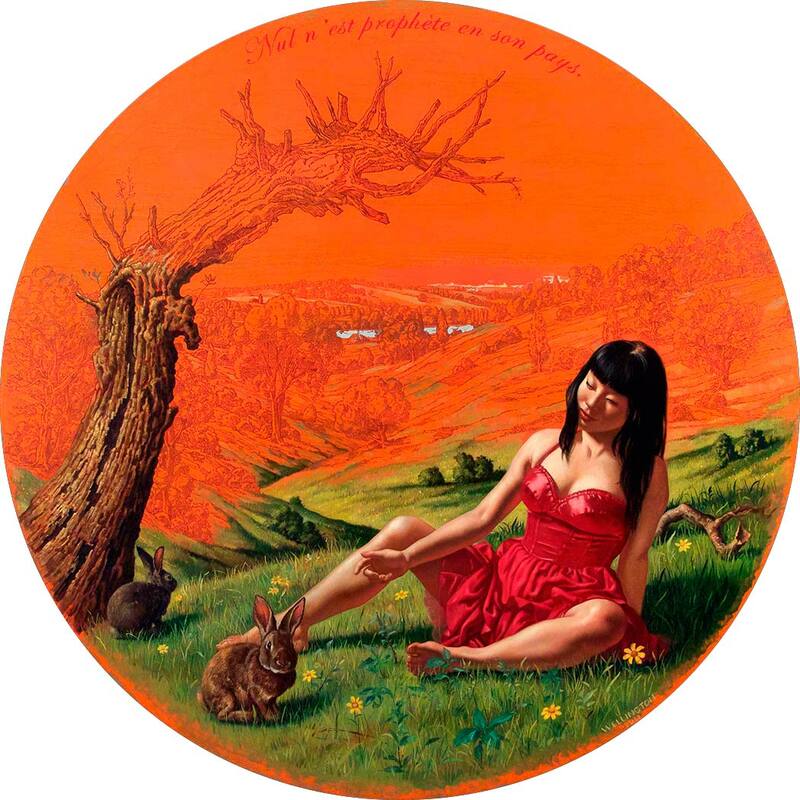 PROPHETE, 2011, oil on wood panel, 48″ diameter. 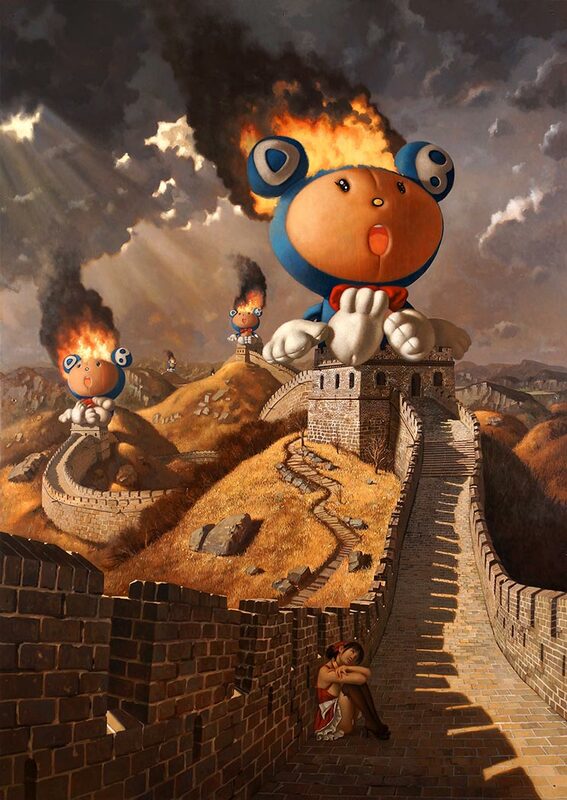 COME NEARER THE FIRE, 2008, oil and copper leaf on aluminum, 75″ x 48″. 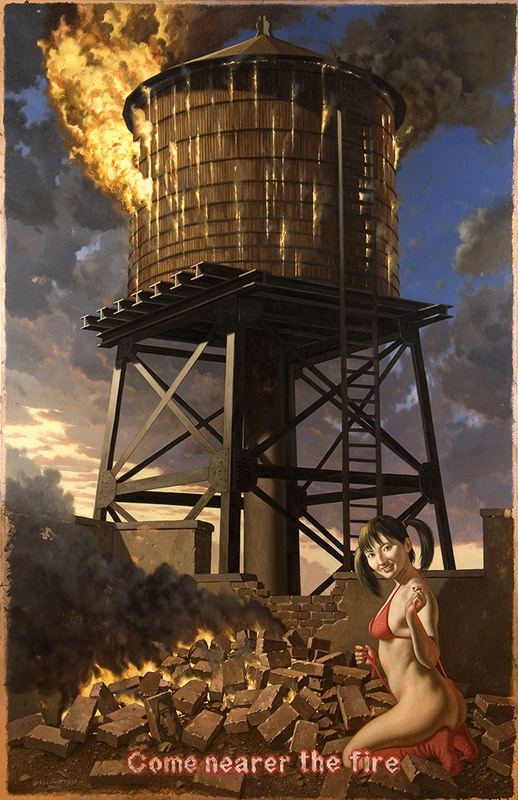 BATHING DIANA (with guards), 2013, oil on aluminum, 30″ x 48″.